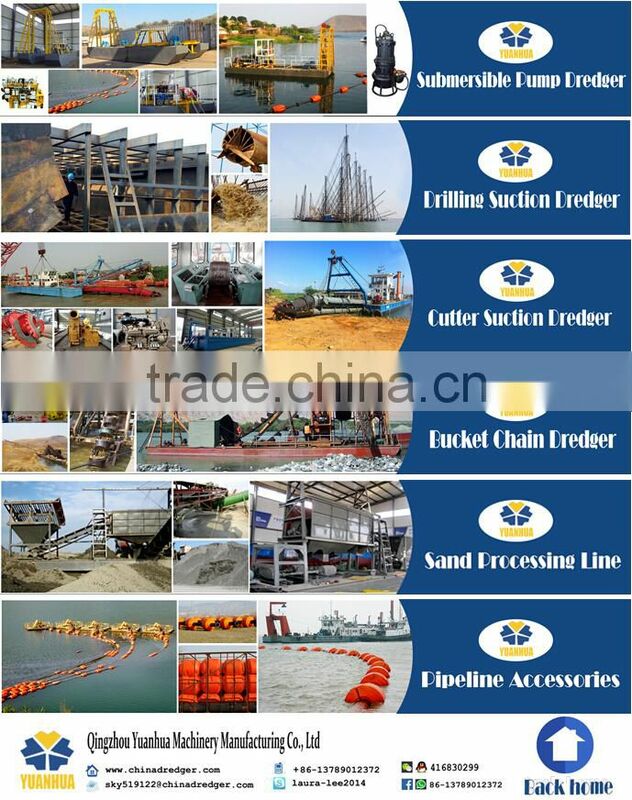 can carry out the procedure of digging, filtering, washing and classifying at the same time and put out qualified clean sand and rock products which are perfect material for construction uses. 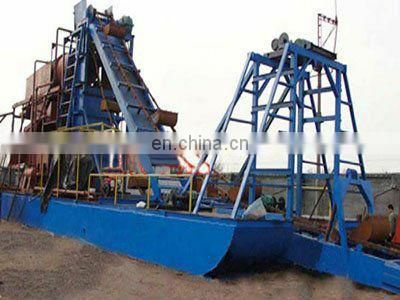 It’s equipped with a series of bucket chains. 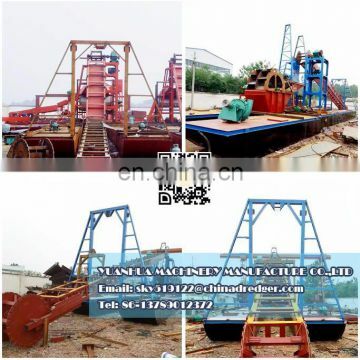 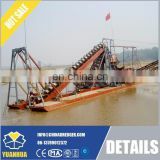 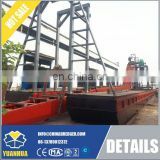 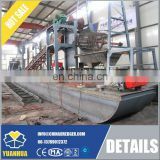 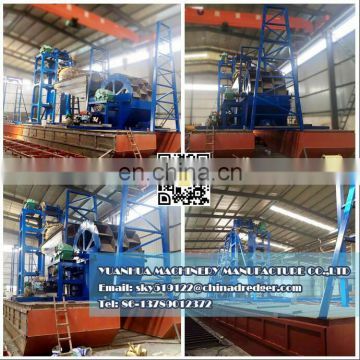 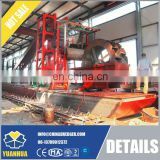 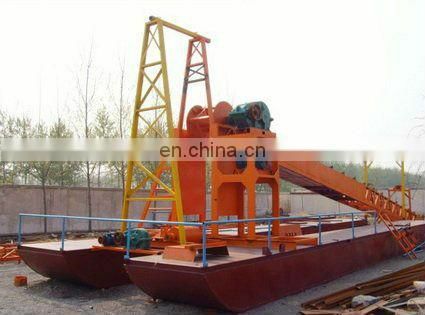 The bucket chains move continuously on the bucket bridge driven by the upward guide roller. 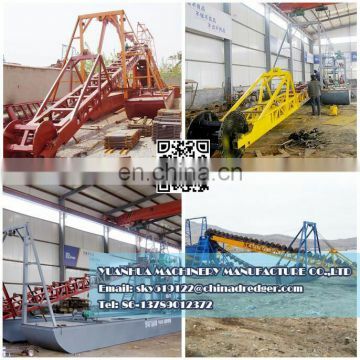 The buckets dig mud underwater and bring the mud above the water surface. 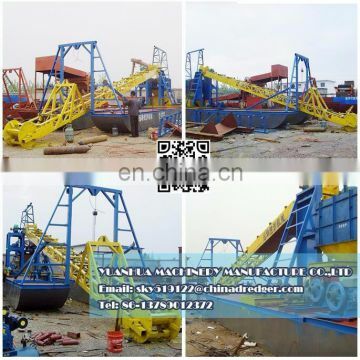 Draw in or draw out the anchor cables forward, backward, leftwards or right words to move the hull to corresponding directions to continue the mud dredging work. 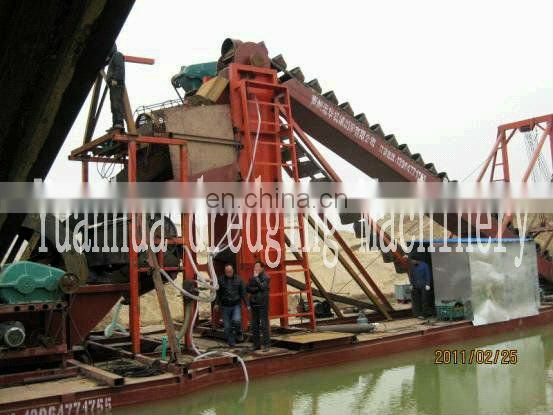 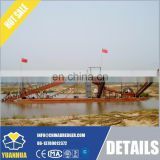 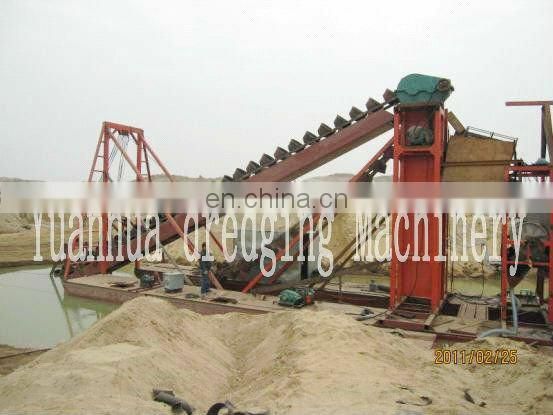 The dredged mud is first elevated to the top of the bucket tower and then discharged from the mud flowing gutter.